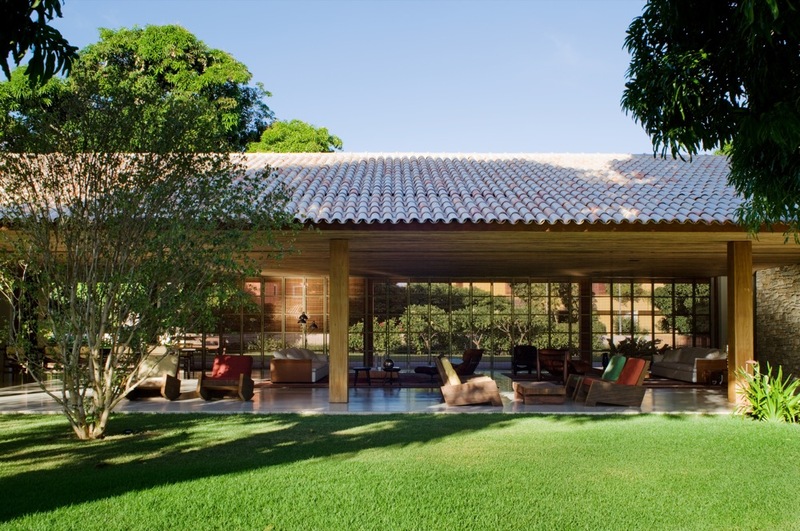 The Bahia House located in Salvador, Brazil uses the traditional architectural approach to sustainable living. This ecological house designed by Marcio Kogan promotes green living with materials from traditional Brazilian architecture. Clay roofs, wooden ceilings and wooden panels provide rustic practicality. The house uses the northeastern wind blowing in from the sea to organize the floor plan and has cross ventilation in its main living spaces, making the interior cool and airy.